With the release of the film “O Brother, Where Art Thou?”, Ralph Stanley cemented his place as an American music legend. His iconic voice became the voice of the mountains, and the last fifteen years of his life and career proved to be a celebration of this, with Grammy Awards, all-star collaborations, and induction into the Grand Ole Opry. In a unique piece of musical history, the legacy of Ralph Stanley can be witnessed for posterity’s sake with the release of Ralph Stanley: Live At The Bottom Line, available now at all physical and digital retailers. The release is distributed exclusively by BFD through RED distribution. The live set, recorded at the legendary New York City nightspot on June 12, 2002, features many of Stanley’s signature songs, including “Man of Constant Sorrow,” “Pretty Polly,” and “O Death,” which opens the set. For such a prestigious performance, Stanley carried nothing but the best line-up of musicians with him, with Stuart Duncan (violin), Mike Compton (mandolin), James Shelton (guitar), Dennis Crouch (bass) all lending their award-winning talents to the night’s performance. The evening marked the only time that Stanley played the venue, but the singer was one of many Country / Bluegrass to showcase their talents at the Big Apple hotspot, with others including Dolly Parton, Waylon Jennings, Doc Watson, and Emmylou Harris. The album’s executive producers are Allan Pepper & Stanley Snadowsky, and Bob Frank. Pepper, who was co-founder of The Bottom Line with Snadowsky, remains mindful of the impact a performance there had on the musical world. You could get the New York Times, and Rolling Stone, and The Daily News, and The New York Post, all covering your gig, and the record companies would get celebrities to come to the shows. So suddenly you see Andy Warhol coming to see Dolly Parton, and there’s a picture and a big story about that. There was a buzz factor that played heavily into building this scene nationally. An artist could be on a morning or an evening news show, and could even do a live radio broadcast. In that way, New York was pretty big for the country music scene. Plus at our place, you could sit, and it was comfortable and intimate, and that was very important for getting the fans and press to come out. It was all part of the star-making machinery – Stanley Snadowsky. 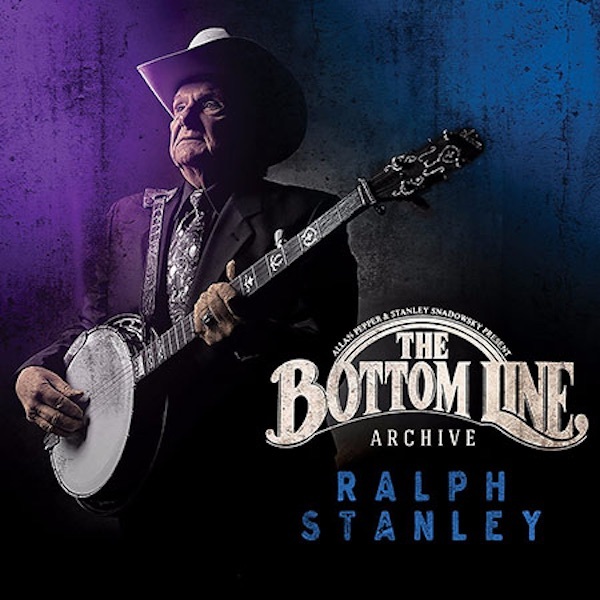 Ralph Stanley: Live At The Bottom Line is the first album released featuring the International Bluegrass Music Hall of Honour inductee since his passing in June 2016. 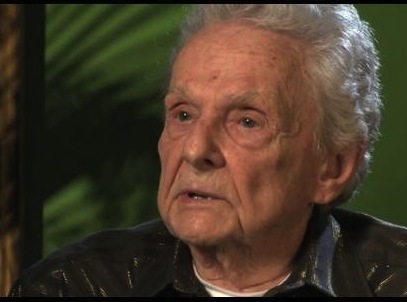 Ralph Stanley has died this week from difficulties with skin cancer. He was 89. Ralph was a patriarch of Appalachian music who with his brother Carter and others helped expand and make popular the genre that became known as bluegrass. Stanley was born (25th Feb 1927) and raised in southwest Virginia, a land of coal mines and deep forests where he and his brother formed the Stanley Brothers and their Clinch Mountain Boys in 1946. Their father would sing them old traditional songs like “Man of Constant Sorrow,” while their mother, a banjo player, taught them the old-time clawhammer style, in which the player’s fingers strike down at the strings in a rhythmic style. Heavily influenced by Grand Ole Opry star Bill Monroe, the Stanley brothers fused Monroe’s rapid rhythms with the mountain folk songs from groups such as the Carter Family, who hailed from this same rocky corner of Virginia. The Stanleys created a distinctive three-part harmony that combined the lead vocal of Carter with Ralph’s tenor and an even higher part sung by band mate Pee Wee Lambert. Carter’s romantic songwriting professed a deep passion for the rural landscape, but also reflected on lonesomeness and personal losses. Songs like “The Lonesome River,” uses the imagery of the water to evoke the loss of a lover, and “White Dove,” describes the mourning and suffering after the death of a mother and father. In 1951, the “Man of Constant Sorrow,” which was later recorded by Bob Dylan in the ’60s. The brothers were swept into the burgeoning folk movement and they toured the country playing folk and bluegrass festivals during the ’60s, including the Newport Folk Festival in 1959 and 1964. But when Carter died of liver disease in 1966, Ralph wasn’t sure he could continue. His brother had been the main songwriter, lead singer and front man, and Ralph, by his own account, was withdrawn and shy, although he had overcome some of his early reticence. “Within weeks of his passing, I got phone calls and letters and telegrams and they all said don’t quit. They said, ‘We’ve always been behind you and Carter, but now we’ll be behind you even more because we know you’ll need us,'” Stanley told The Associated Press in 2006. After Carter’s death, Ralph drew even deeper from his Appalachian roots, adopting the a cappella singing style of the Primitive Baptist church where he was raised. He reformed the Clinch Mountain Boys band to include Ray Cline, vocalist Larry Sparks and Melvin Goins. He would change the lineup of the band over the years, later including Jack Cooke, and mentored younger artists like Keith Whitley and Ricky Skaggs, who also performed with him. Dylan and Grateful Dead’s Jerry Garcia praised his work and, in the case of Dylan, joined him for a remake of the Stanley Brothers’ “Lonesome River” in 1997. He was given an honorary doctorate of music from Lincoln Memorial University in Harrogate, Tennessee, in 1976, and he was often introduced as “Dr. Ralph Stanley.” He performed at the inaugurations of U.S. Presidents Jimmy Carter and Bill Clinton, was given a “Living Legends” medal from the Library of Congress and a National Medal of Arts presented by the National Endowment for the Arts and President George W. Bush. He became a member of the Grand Ole Opry in 2000. But at age 73, he was introduced to a new generation of fans in 2000 due to his chilling a cappella dirge “O Death” from the hit Coen Brothers’ “O Brother, Where Art Thou?” movie soundtrack. The album was a runaway hit, topping the Billboard 200 chart, as well as the country albums and soundtrack charts, and sold millions of copies. Stanley was born in Big Spraddle, Virginia and lived in Sandy Ridge outside of Coeburn, Virginia. His mother was Lucy Jane Smith Stanley and his father was Lee Stanley. He is survived by his wife Jimmie Stanley – they were to celebrate their 48th wedding anniversary on July 2nd. He is also survived by his children: Lisa Stanley Marshall, Tonya Armes Stanley and Ralph Stanley II; His grandchildren: Nathan Stanley, Amber Meade Stanley, Evan Stout, Ashley Marshall, Alexis Marshall, Taylor Stanley, and Ralph Stanley III; and great-grandchild Mckenzie Stanley. 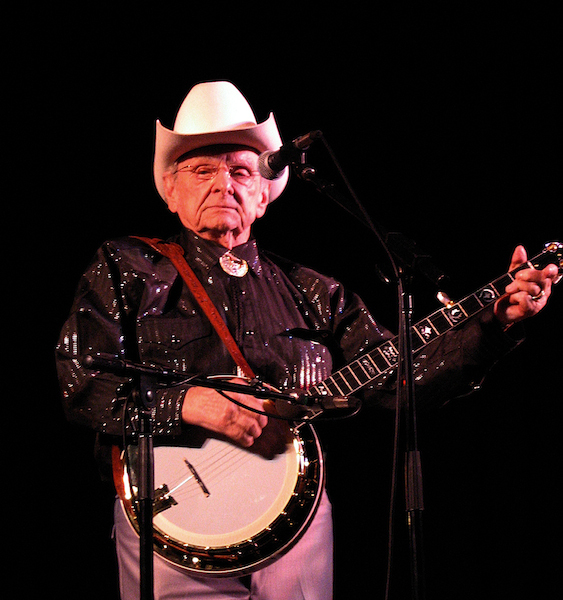 Ralph Stanley Celebrates his 70th anniversary concert in his home state Virginia in Manassas. In 1945, a young Ralph Stanley joined his brother, the late Carter Stanley to form The Stanley Brothers, a pair that would go on to become one of the most influential music duos of all-time. They got their start calling into a local radio station in Norton, Virginia, where they would sing songs over the phone. After 7 decades, three Grammy awards and an induction into the Grand Ole Opry, Ralph Stanley has no intention on slowing down as he hits the 70-year milestone. To commemorate this accomplishment, he is playing a special show in Manassas, Virginia. on October 9 at the Hylton Performing Arts Centre. He will be joined by his Grandson, Dove-award winner Nathan Stanley and the Clinch Mountain Boys for this momentous occasion. I’ve been very fortunate to have been performing for so long and still can make a living at it. A lot of artists don’t last 10 years let alone 70 years. I still love to travel and perform. It’s my life, I don’t know what else I would do if I couldn’t travel. 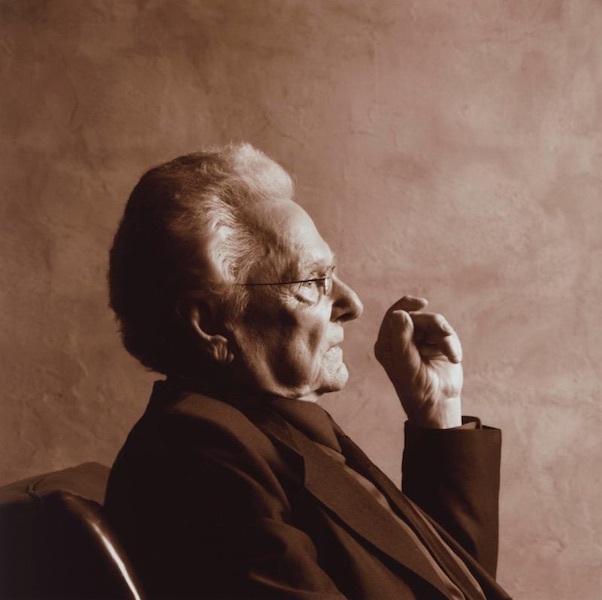 I’m very thankful to the good Lord for his many blessings – Ralph Stanley. Tickets for the spectacle are now available or can be purchased by calling US (888) 945-2468. 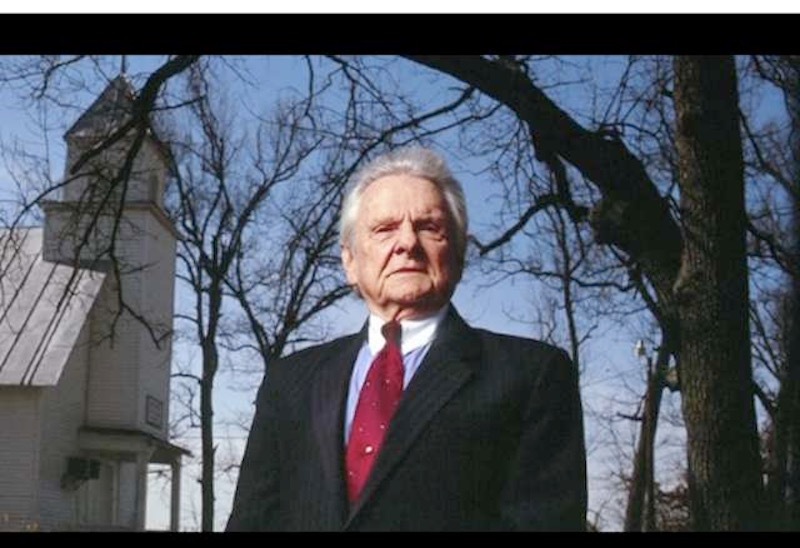 Dr. Ralph Stanley’s blockbuster 2015 started in January, with the release of Man of Constant Sorrow. In addition to hitting #1 on the Billboard Bluegrass Albums chart, the release was also met with high critical acclaim. Rolling Stone said, “it’s no surprise that none of the artists who were approached for this project turned him down,” referring to the superstar lineup of features, which includes Robert Plant, Elvis Costello, Dierks Bentley, Lee Ann Womack, and many more. Keep an eye out, as more dates are announced for the “Man of Constant Sorrow Tour” with Nathan Stanley and the Clinch Mountain Boys for 2016. Learn more information at drralphstanleymusic.com. Accompanying the multiple Grammy winner and Grand Ole Opry star will be his band, the fabled Clinch Mountain Boys. Various country and bluegrass artists will appear as supporting acts. The start of the tour coincides with Dr. Stanley’s 67th anniversary as a professional performer. He began his career in 1946 with his older brother Carter, touring and recording as the Stanley Brothers. Carter died in 1966, after which Ralph moved to center stage as a solo artist. What an honor it is to be a part of a musical legend and to work with my all-time hero’s final musical journey. Dr. Ralph is an American and an international musical icon who has influenced so many modern stars with his trademark mountain sound. 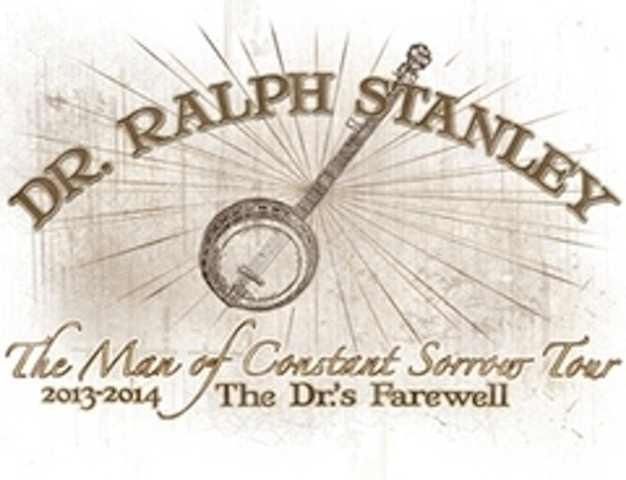 “Man of Constant Sorrow Tour: The Dr.’s Farewell” will be a fantastic celebration of the life of Dr. Ralph, the mountain music he’s made famous and his legacy that will endure through the course of time – Josh Trivett, Stanley’s co-manager. Over his historic career, Dr. Stanley has won virtually every honor America has to bestow on its master musicians. He has three Grammy awards, one as best male country vocalist, a category in which he competed with Tim McGraw, Willie Nelson, Johnny Cash and Lyle Lovett. His was the distinctive sound behind the seven-million-selling O Brother, Where Art Thou? soundtrack album. He was the first performer to be inducted into the Grand Ole Opry in the 21st Century. Dr. Stanley is a member of the International Bluegrass Music Hall of Fame and a recipient of the National Medal of Arts. As a bandleader, Dr. Stanley mentored the careers of Ricky Skaggs, Keith Whitley, Larry Sparks and Charlie Sizemore, among others. The album also features guest artists Ralph Stanley and the Clinch Mountain Boys. Don Rigsby’s life-long passion for the music of Dr. Ralph Stanley comes to full boil in his forthcoming album from Rebel Records, Doctor’s Orders: A Tribute to Ralph Stanley. I’m so proud of the tribute record that Don Rigsby has done for me. He has recorded some of my favorite material and brought new life to each song – Ralph Stanley. Except for “The Mountain Doctor” (which Rigsby co-wrote with Larry Cordle, of “Murder on Music Row” fame), all the songs on the new album are ones Stanley recorded throughout his 67-year (and counting) career. Some are rare gems the Old Master seldom or never performed in his stage shows. Adding zest to the project are appearances by Stanley and former Clinch Mountain Boys Larry Sparks, Ricky Skaggs, Charlie Sizemore and Steve Sparkman. Stanley’s lead guitarist, James Alan Shelton, plays on many of the 14 selections, as do such other prize-winning pickers as Ron Stewart and Barry Bales. Rigsby produced the album. Barely out of the cradle when he became enthralled by the high mournful sounds issuing from his brother’s 8-track tape player, Rigsby was a mature six years old the day he met Stanley at a show in Ashland, Kentucky. It remains the musical highlight of his life. Rigsby is a two-time Grammy nominee and two-time winner of the SPBGMA’s Traditional Male Vocalist of the Year awards. He has performed and/or recorded with The Bluegrass Cardinals, J. D. Crowe & The New South, Lonesome River Band, Longview and Midnight Call. His credits also include five solo albums and two IBMA awards for producing Larry Sparks’ comeback album, 40. A graduate of Morehead State University, Rigsby was the first full-time director of that school’s Kentucky Center for Traditional Music. The first single from the album, “The Mountain Doctor,” will be made available for digital purchase as a special pre-album promotion next Tuesday, 2nd April 2013, via iTunes, Amazon, eMusic and other digital outlets. The full album Doctor’s Orders: A Tribute to Ralph Stanley will be released on 21st May 2013. Grand Ole Opry star and multiple Grammy-winner Ralph Stanley has signed to Moonstruck Management for management and booking. Headed by Josh Trivett and Peter Keiser, Moonstruck has a client roster that also includes Russell Moore & IIIrd Tyme Out, Lonesome River Band, Bobby Osborne & The Rocky Top X-Press and Sleepy Man Banjo Boys, among other award-winning groups. 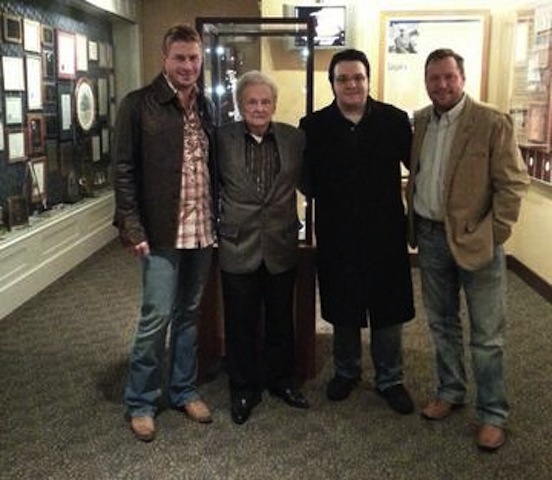 Peter and I are honored to work with the great Dr. Ralph Stanley and the Clinch Mountain Boys. I grew up on Dr. Ralph’s music and have been a huge fan since I was a boy in Bristol, Tennessee. There was just something magical about the sound and style of his banjo playing and his lonesome mountain vocals that captivated my heart and still lives in me today. His music has been revered for over 65 years, and we have several exciting plans to honor and celebrate the great music and life of this international music legend – Josh Trivett. 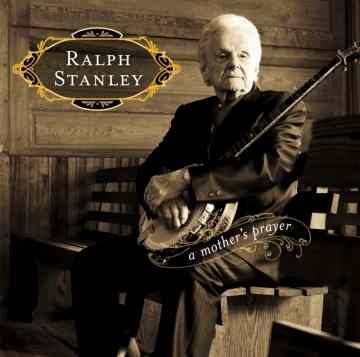 Rebel recording artist Dr. Ralph Stanley has received a Grammy nomination in the Best Bluegrass Album category for his recent gospel release A Mother’s Prayer, the National Academy of Recording Arts and Sciences announced last night. The nomination is Stanley’s fourth. This album is me—it’s what I’m all about. I’m honored that the Grammy voters recognized my work. Of the hundreds of albums I’ve recorded, I count this as one of the best – Ralph Stanley. A Mother’s Prayer was coordinated by Rebel Records’ Mark Freeman and produced by Ralph Stanley II (a Grammy winner himself). The project was already spotlighted earlier this year when the International Bluegrass Music Association awarded music scholar Colin Escott the Best Liner Notes prize for his work on the album. Stanley’s association with Rebel Records spans more than 40 years, and A Mother’s Prayer is his 33rd recording on the label. The project features a mix of classic and traditional gospel songs along with some newer material, including the title track which was written by Blue Highway’s Shawn Lane and noted bluegrass musician and songwriter Ronnie Bowman. Former Rebel recording artist The Steep Canyon Rangers received a nod leading up to this year’s awards as well. Their collaboration with Steve Martin, Rare Bird Alert, was also nominated for Best Bluegrass Album. The Rangers, IBMA’s Emerging Artist of The Year in 2006, recorded four albums for Rebel. Grammy winners will be announced during a CBS-TV special on 12th February 2012. A Mother’s Prayer (Rebel 1840) is distributed by Entertainment One (eOne) Distribution. Dr. Ralph Stanley is an American icon and cultural treasure. He was among the first generation of bluegrass music and architect of a branch of bluegrass that drew on ancient mountain folk traditions. His new gospel album A Mother’s Prayer captures this artist at the peak of his wisdom and artistic power. Veteran banjo player, Steve Sparkman, has announced his departure from Ralph Stanley’s Clinch Mountain Boys after more than 16 years in the saddle. As a Clinch Mountain Boy, Steve has received several IBMA Awards, as well as a Grammy Award for his work on the Lost in the Lonesome Pines project. Word is that he Steve plans to pursue a career in law enforcement in his home state of Kentucky. Sparkman will be replaced by Jarrod Church, who has filled in for the band on previous occasions. 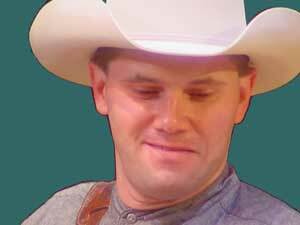 In 2006, Jarrod released a CD which is a tribute to the banjo style of Ralph Stanley and has filled in on dates with the band for several years. Jarrod is also the merchandise manager for the group, a position he has held for more than a year. The November issue of The Bluegrass Special now in Cyberspace. This month Rosanne Cash, Patty Loveless and Maria Muldaur talk at length about their new albums. Reviews this month include a Gospel Set pairing of the Issac’s – Naturally, and the Gaither Vocal Band’s – Reunited. 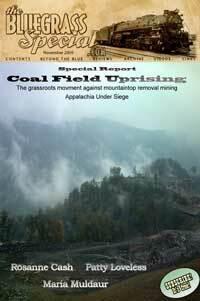 Other articles in this month’s issue include a main feature on the desperate situation in the Coal River Valley of West Virginia, where mountaintop removal coal mining is destroying the Appalachian Mountain range, the culture of Appalachia, and endangering the lives of people in the valley. America adores its Adirondacks and reveres the Rockies, while the Appalachian Mountains – with their impoverished and alienated population – are dismantled by coal moguls who dominate state politics and have little to prevent them from blasting the physical landscape to smithereens – Robert F. Kennedy Jr.